Jesse Marchant created soundscapes right off the bat – his looping pedal catching every articulation and reverberation of his electric guitar. Slowly and softly, he approached the mic and the room quieted to the tune of Marchant’s serious smirk. The tiny room echoed with Jesse’s voice, the quitter never ceasing beneath. While his left hand fluttered, his right played effortlessly. As he blatantly switched guitars, the roomed murmured – the lights breaking through Marchant’s mess of unkempt hair and tattered instrument. 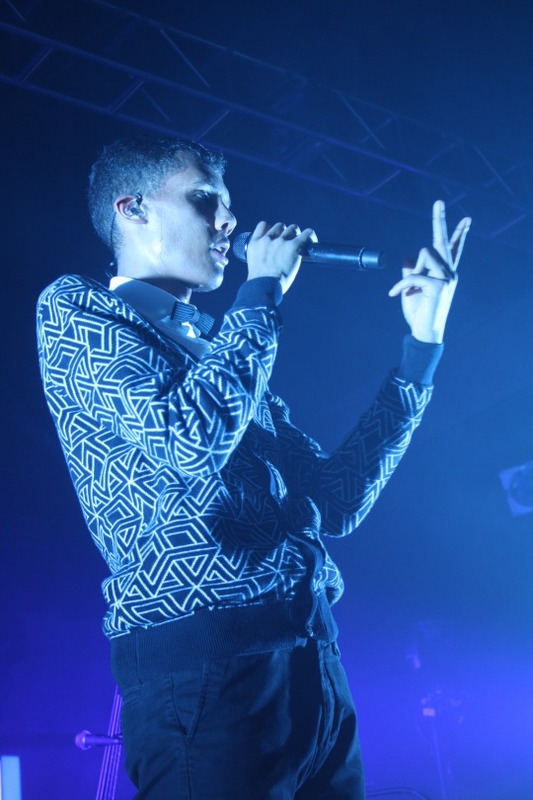 His lyrics swallowed and swayed between dynamic shifts of instrumentation. 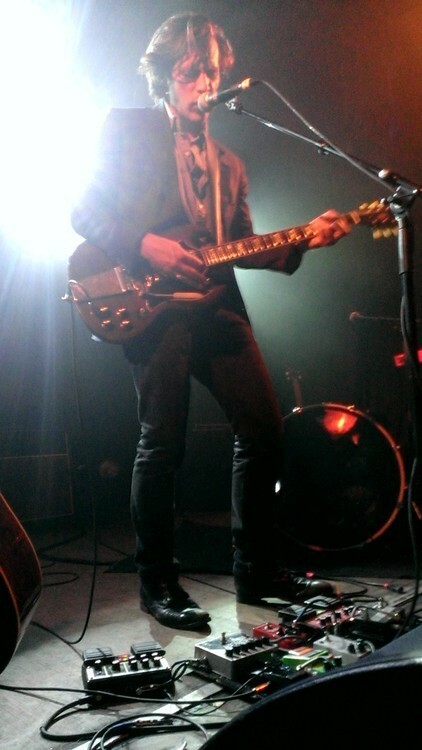 On his own, Jesse’s guitar supported him beautifully as the stage shook in tandem. Calmly and carefully, he moved through his set, allowing the voice of his various instruments to shine through the darkness of his lyrics and the stage itself. Employing various techniques to repeat and reverberate his guitar, Marchant’s lyrics flew magnificently above the bass and treble. Nothing could limit the ardent performer as he tuned his guitar to the hum of his harmonica. Jesse stared intently into the audience, listening to our reactions to his humble voice. Marchant’s set built up charmingly, lifting our heads into the air with love and acceptance. 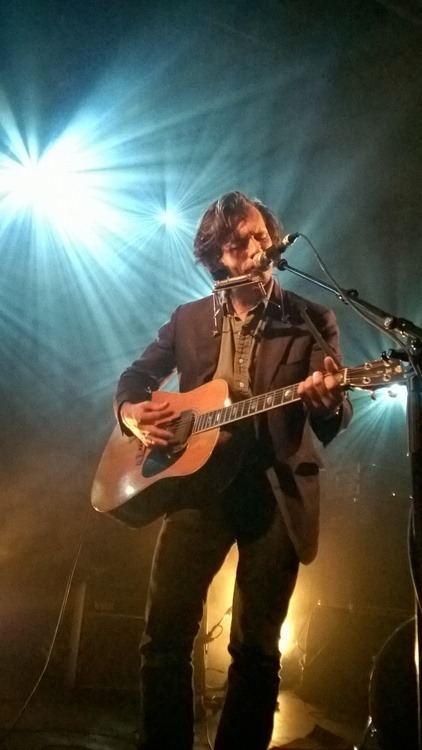 At the end of his set, Jesse spoke to us – struggling with the word “grateful” and the crowd translated in a chorus of a language I didn’t understand. They cheered in response to his beautifully fluid French. His last song was a fury of fingerpicking, exposing the expertise of this magical musician. He smiled at us between moments of intense focus and we nodded to the resounding rhythm in response. With a thunderous boom, the drums hit so hard my beer moved swiftly across the stage. 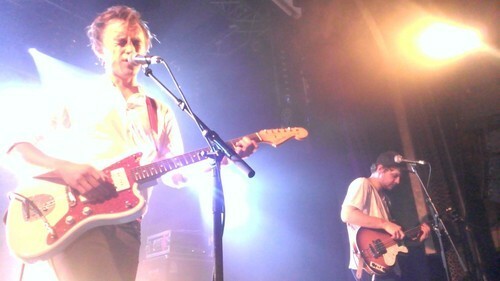 Sondre Lerche’s voice rung out over a distorted guitar. A visceral performer, Lerche touched his telecaster delicately – his body moving in violent spouts of celebration. He danced behind his guitar and looked up occasionally to take in the screams of the fan girls (and boys) in the audience. “You wanna dance?” he yelled to joyous acclaim, the floor shaking to the beat of the drums. As our bodies swayed to the newest single, “Bad Law”, his hands moved as if he was directing a choir. He truly did as we sang along with him, clapping in tandem and smiling as we mirrored his emotions. 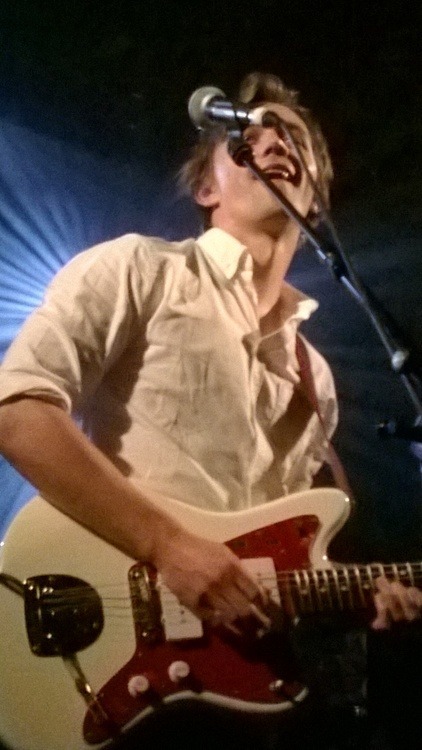 Sondre flipped his hair back and forth, dancing to his tunes as if he was in the audience himself. His complex chords did everything but phase him, yet they rang beautifully through the little speakers that blasted within the venue of Divan du Monde – a bar in the heart of Paris’ club district. Bassist Chris Holm echoed the choruses, allowing us to be drawn to the lyrical trance that Lerche had undoubtedly put us under. 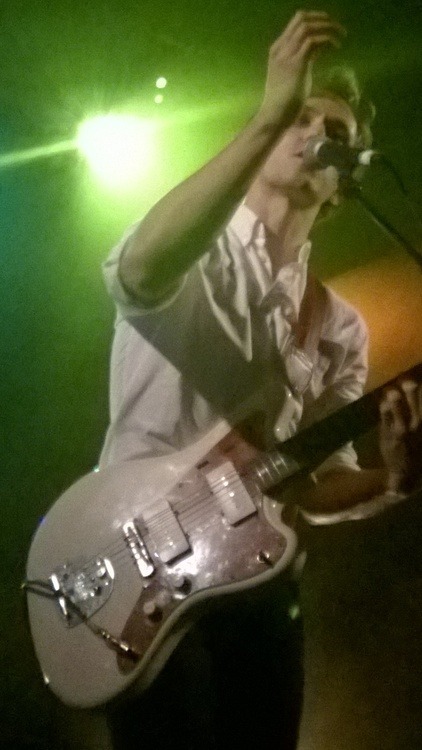 His voice lower than before, Sondre’s vibratos remained powerful over the fluttering bass and flirtatious guitar. The crowd jumped in jubilation, our screams sometimes louder than the performer’s voice as we sang along to songs like “Say It All” and “No One’s Gonna Come”. He quieted us down to hear us sing with him, his voice and guitar escalating to empowering heights – rocking out with Dave Heilman on the drums until our ears had finally adjusted to the new interpretations of his oldest albums. 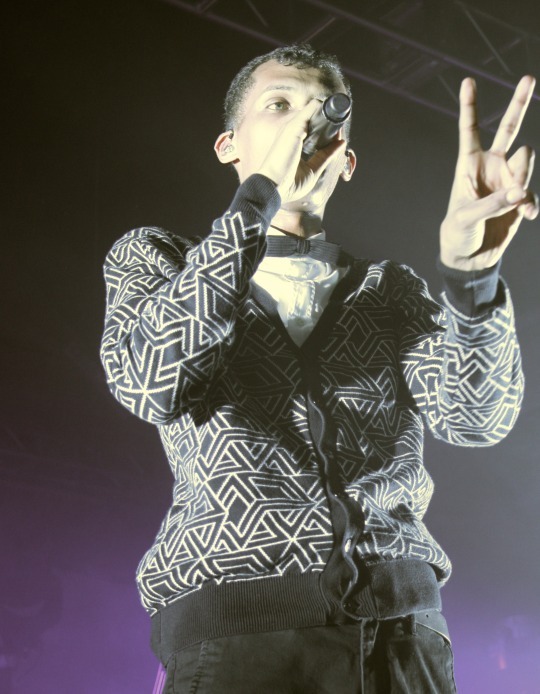 He spoke frequently of his past performances in Paris. At one point he referenced a bar that has since burned down – according to one audience member who seemed to know a lot about the current state of the city’s club scene. After apologizing for our loss, he entered into a reflection of those tours, his guitar fiercer than ever before. 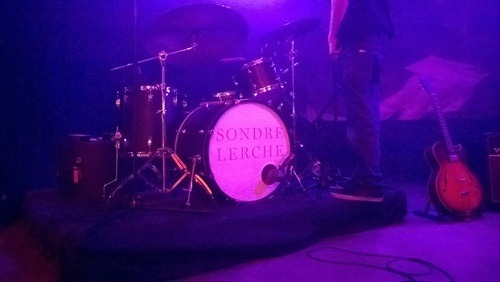 Jazzy yet incomprehensibly intense, the band played the old songs anew and the crowd relived their experiences of when they first heard Sondre’s voice – whether in the clubs of Paris’ past or in the comfort of their own homes. Strobes blazed as blue notes blew from the speakers and the rest of the band left the stage. 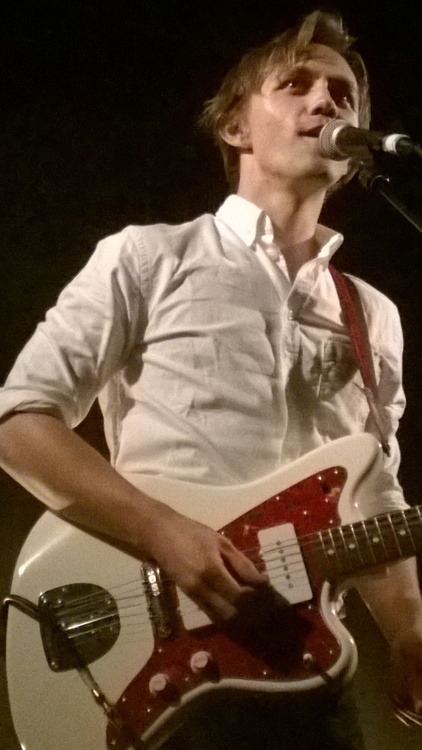 Sondre stepped away from the mic and he let the room carry his voice. As our singing finally faded away, he yelled over his electric guitar – the close-cut walls intensifying the performer’s unamplified melodies. “My Hands Our Shaking” came to a close, unaccompanied. Unexpectedly, Lerche began to sing “Like Lazenby” at the request of an audience member – apologizing to the sound crew in the back for not telling them he would play it before-hand. 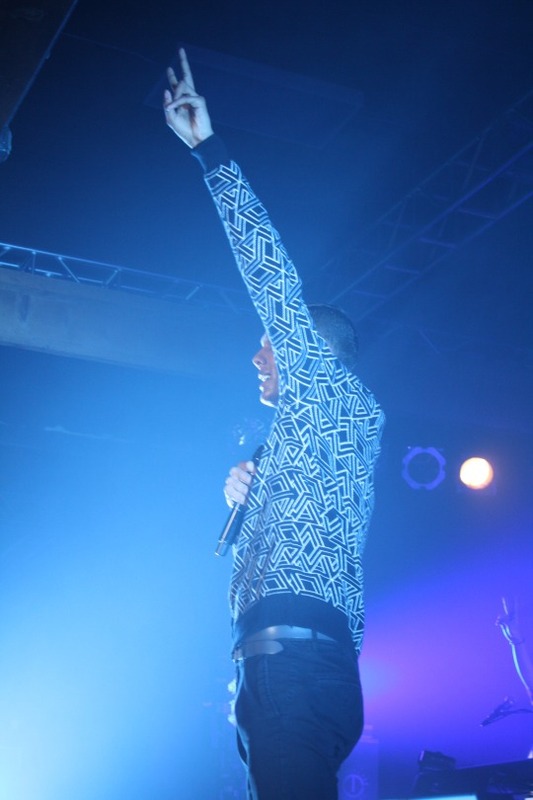 To the tune of our synchronous claps, the band returned to the stage – reviving the scene’s intensity. As the drums joined in, we all realized just how coordinated the whole performance really was. “Sleep On Needles” was played in sync, Sondre’s sweat dripping from his brow. The crowd began to shout more requests than they could handle and his only response remained, “So many hits!” he exclaimed. As he introduced the merchandise, Lerche advertised his opener and the passion in his eyes burst forward with every word. 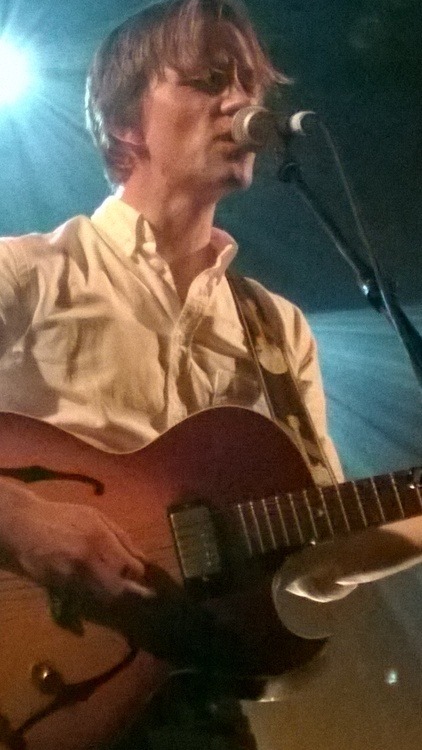 During the entire performance, Sondre remained as thoughtful of a person as he was off the stage. After the show, I got a chance to speak with him, to ask what the difference was between the recent album, PLEASE, and the rest of his repertoire. “Time,” he responded, “It was 15 years – 32, actually, depending on how you count.” He smiled. He went on to say how much respect he had for Jesse Marchant and other artists as they helped him find a new way to create. This inspired creativity showed strongly as the lights lit up the stage to “Sentimentalist” – one of the tracks off of the new album. As the guitar became ever-more complicated, Sondre’s movements became more and more terse and tense – until solo breaks and bass build released enough energy to allow for him to relax. As Lerche bathed in the almost-transparent light of the stage, the crowd went wild as the drums introduced songs like “Lucifer” and other hits from PLEASE. Heilman’s break beats – along with Holm’s funky rhythms – provided the powerful foundation to frontman’s lyrics, allowing us to dance to the sultry sounds that described the newfound Sondre Lerche. 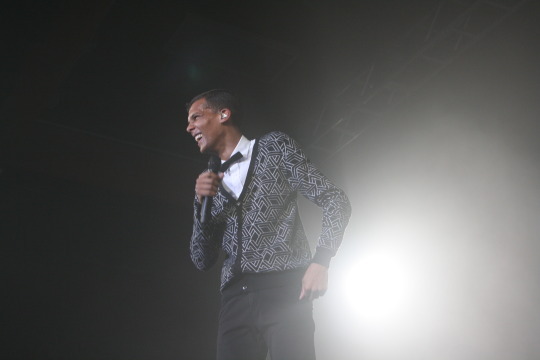 He joked with his limited knowledge of French before introducing a track off of his self-titled record, “Private Caller.” To much acclaim from the audience, Lerche performed the music which he played on his last European tour – this time, Paris would be his first stop in a series of many more performances to come. As quickly as he put it down, the telecaster flew from Sondre’s shoulders – only to be replaced, once again, by the Gibson guitar. A familiar riff rang out and “Two Way Monologue” had begun, one of the artist’s most successfully singles. Chris’ “ooh”s and “ahh”s only added to the amplifying intensity as Dave and Sondre riled us up throughout the song. At the end, Lerche taught us the chorus and made us sing a solo for him in response to the already brilliant performances that the band had just spent the last few minutes “showing off”. With a smile on his face, the sweat-drenched performer played one of his latest tracks, “Legends” – leading us in cheers of “Oh”s and “Whoa”s. After a brief remission to the back of the stage, Heilman returned to the stage with an overpowering “Merci Paris!” And, as the lights went up, the Bergen, Norway natives – Lerche and Holm – appeared in their rightful places. After a track that packed us in and made the floor shift and shake, the band left Sondre on stage – standing alone and asking for one final request. We sang with him to the final song of the Dan in Real Life soundtrack (featuring Steve Carrell, Dane Cook, and guest-artist Regina Spektor), “Modern Nature”. The crowd swayed and swooned as the lights faded on the stage before us.